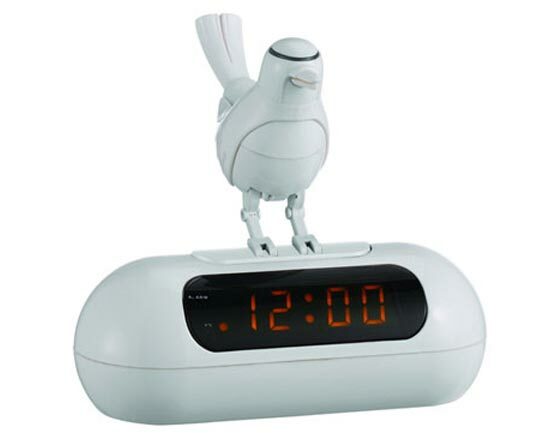 Here is another geeky clock for today, this one is bound to get you out of bed in the morning, the LED Bird Alarm Clock. The LED Bird Alarm Clock will wake you up to the sound of birds singing, and the bird will move about, I wonder how long this would last at my house, I could see this one going out the window after a few days. If you want to be woken up to the sounds of a bird, then the LED Bird Alarm Clock is available for £20 about $30 from Habitat.